Joel McCord and WYPR's John Lee talk about some apparent friction between Baltimore County's House delegation and the county's executive. Copyright 2019 WYPR - 88.1 FM Baltimore. To see more, visit WYPR - 88.1 FM Baltimore. News Director Joel McCord and Karen Hosler, of the WYPR news team, examine Maryland Congressman John Delaney's plan to cut corporate taxes and raise trillions for repairs to the national infrastructure. 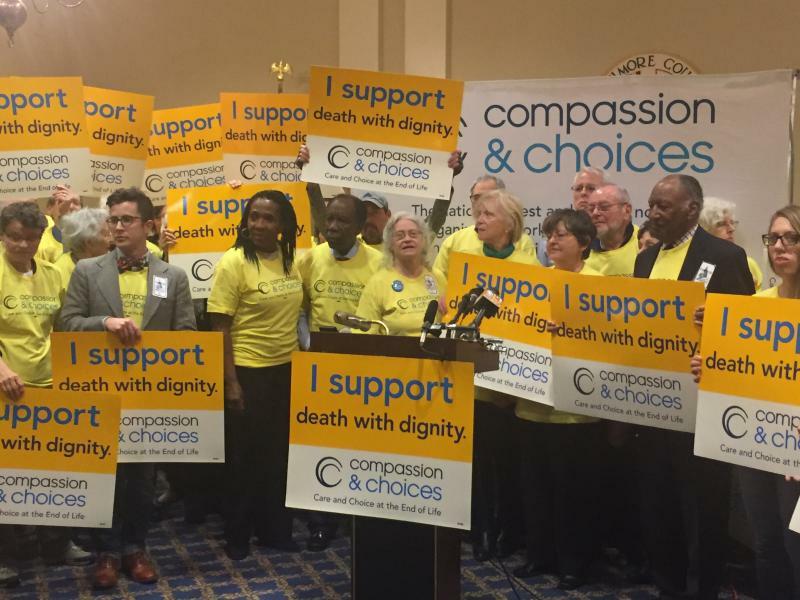 Advocates for death with dignity bills—one in the House and one in the Senate--launched a renewed drive in Annapolis Wednesday, optimistic their bills will pass this year. The bills, which would allow physicians to prescribe lethal drugs to terminally ill patients, died in the face of stiff opposition during the last two General Assembly sessions. But Kim Callinan, chief program officer for Compassion and Choices, the group backing the bills, said polls show that a majority of Marylanders favor the bill. Joel McCord and John Lee, of the WYPR News team, examine the early start in the race for Baltimore County Executive and for funds to run the campaigns. A recent study from EPA’s Chesapeake Bay program has confirmed that the water quality in the nation’s largest estuary is improving, thanks to a pollution diet for states in the Bay’s watershed. But there’s one part of one state—the five counties of South Central Pennsylvania—that lags behind in reaching its pollution reduction goals, mostly because of fertilizer that runs off farm fields into Bay tributaries.